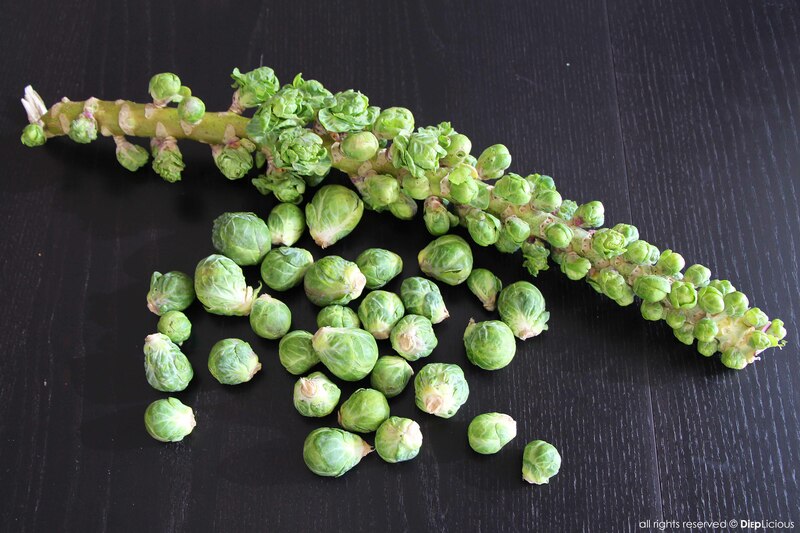 Brussels sprouts are wonderful, but they are an acquired taste for some due to their slightly bitter flavor. 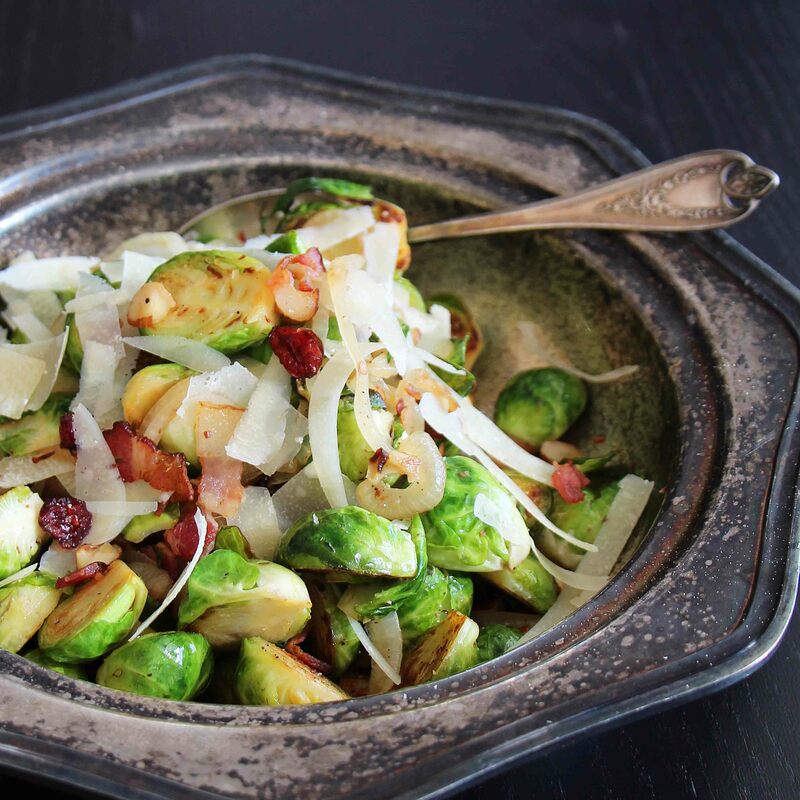 This dish is perfect way to make Brussels sprouts accessible to almost anyone – the bacon provides a smoky salty touch, contrasted by sweetness from the onions and cranberries, resulting in an excellent mix of flavors. This is a perfect side dish for the holidays, and is generally just great throughout the winter. • 14 oz. 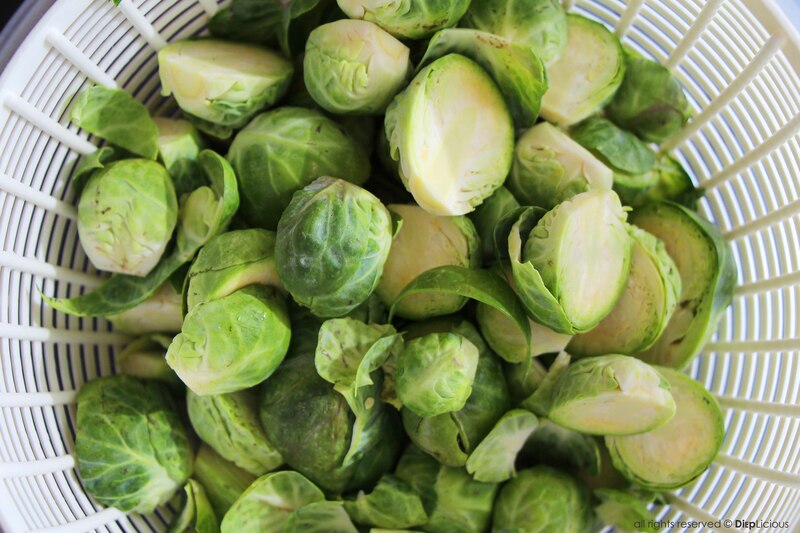 (400 grams) of Brussels sprouts, washed and cleaned. Cut the base off of each sprout and cut in half along the stem. • ¼ cup of shredded Parmesan, plus a little extra shaved for decoration. 1. Heat the olive oil in a skillet and sauté the onions until translucent; add the almonds and sauté until the almonds are slightly browned. Set aside. 2. Heat a large skillet and fry the bacon for a few minutes. Just before the bacon browns, push it to the side of the skillet, and add the Brussels sprouts with the cut (flat) side down. Sauté for couple minutes and then stir everything together. 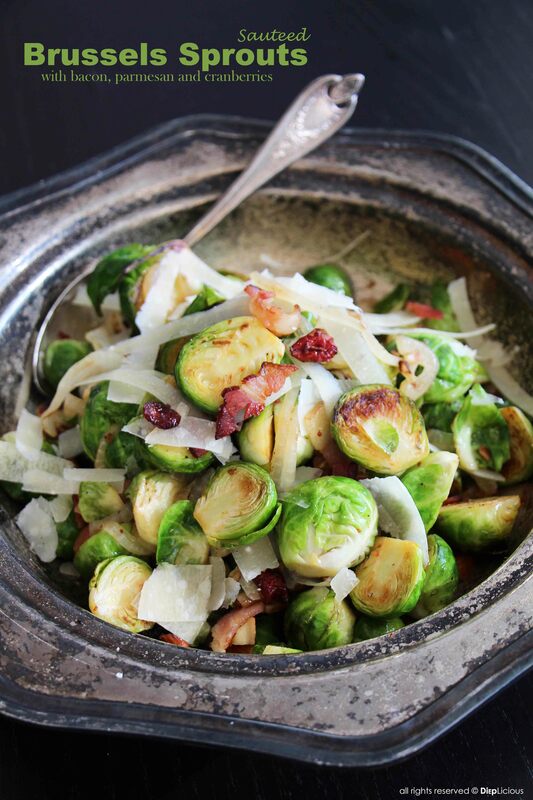 Keep sautéing the Brussels sprouts until the bacon is browned and crisp. 3. Add a few dashes of Tabasco and then add the cranberries. Stir for another minute. Turn down the heat and season with salt and pepper. 4. Transfer to a serving plate, mix in the shredded Parmesan, and sprinkle the shaved Parmesan on top for decoration.